The recent traffic stop ambush that resulted in the fatal shooting of Virginia Tech police officer Dereik Crouse has many saddened, baffled and shocked. But one former Maryland cop admits he’s more than disappointed. He’s downright fired up. “There is no such thing as a ‘routine’ traffic stop. If it were ‘routine,’ a police officer would not be killed or injured,” says Dr. Tod Burke with agitation. After retiring from the force, he started serving as a professor of criminal justice at Virginia Tech’s sister school Radford University. Burke is also the Associate Dean of the Radford’s College of Humanities and Behavioral Sciences. He suggests that what he teaches his students about the seriousness of any and all traffic stops would also a valuable lesson for the rest of the driving public. So why might the law enforcement officer who pulled you over cop an attitude? He’s putting his life on the line to protect you and the safety of others. Furthermore, he has no idea if you were racing down the street to make a hair appointment or to flee the scene of an armed robbery. “We want to make that next traffic stop. We want to go home at night. Yet this is a job you can do perfectly for 15 years, make one mistake and you’re dead,” Burke adds. On one hand you have officers who might stay on the defensive to protect their lives. Former LA cop and FBI agent Frank Scafidi adds, “There is no ‘routine’ in an activity that contains many unknown variables.” Yet at the same time, “Officers can be alert without appearing ready for combat.” He currently serves as the Director of Public Affairs for the National Insurance Crime Bureau in Sacramento, California. On the other you have drivers who feel inconvenienced, irritated or wrongfully targeted. “A lot of driver angst might be a reaction to all of the traffic enforcement projects occurring around the nation in recent years (red light cameras, radar speed controls, random vehicle inspections/DUI checkpoints). These are sold as traffic safety programs but there is a financial aspect to most of them that makes them appear to be nothing more than revenue generators for cities,” remarks Scafidi. Perhaps it’s a matter of both sides taking a look at the bigger picture, and ultimately treating the other with respect. “All of this is nothing more complex than placing yourself in another’s shoes and being understanding—forgiving even—if the initial contact goes south and cooler heads prevail by the end of the contact,” Scafidi remarks. This sensitivity and awareness could keep you from overreacting or meeting an officer with so much resistance you talk yourself into rather than out of a ticket. For more on how to handle getting pulled over, check out Traffic Stop Dos and Don'ts. What's your take? 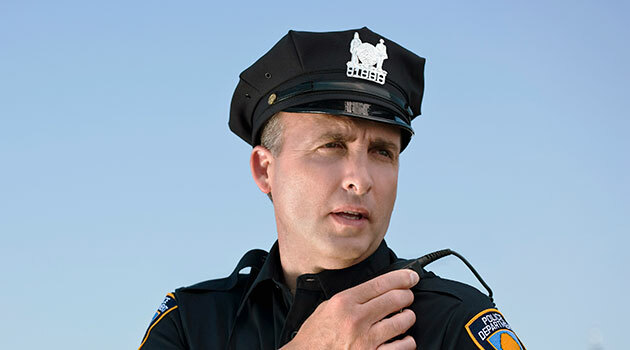 Leave a comment below if you've experienced a cop with a bad 'tude or would like to weigh in on the topic.